September marks the start of the school year, the first day of Fall, and the debut of the Green Bay Packers’ 100th football season. For people who suffer from a seasonal allergy (often called hay fever), September is a time when respiratory problems become one of their toughest competitors in the game of life. Taking the field are opponents like mold and fungus spores which are airborne in summer and fall. Allergy sufferers also deal with their legendary adversary, ragweed pollen, which is wind-borne in late summer and fall. These dominating allergens trigger hay fever symptoms like runny, itchy, and watery eyes, stuffy nose, sneezing, and a yearning for a hard frost and cold weather when seasonal allergies will subside. Suffering through seasonal allergies is worse than losing a game in the 4th quarter to your worst rival. That’s why it’s important for people with hay fever to develop a game plan to tackle fall allergies. We can help. In addition to cleaning tile, grout, carpeting, stone, and vinyl floors, NEW Solid Surface Cleaning also offers allergy relief and odor removal services for homes in the Green Bay area. Our Just Gone system is the “star quarterback” we bring into your home to remove allergens and odors. Just Gone uses naturally occurring Chlorine Dioxide. This chemical is known for its allergen releasing and odor removal capabilities. It leaves your home smelling fresh and allergen-free. Just Gone brings relief to allergy sufferers, in addition to removing troublesome odors in a home. NEW Solid Surface Cleaning is the home team you can trust when it comes to allergy relief and odor removal services in your home. Call Randy at 920-604-3773 to schedule your appointment. This entry was posted in Allergy relief, Just Gone on September 12, 2018 by Joan Koehne. Randy Grygiel of NEW Solid Surface Cleaning in Pulaski has completed the MB Maintenance of Natural Stone Course taught by restoration specialist Stu Rosen. At the intensive, four-day class in Wilson, North Carolina, Randy gained hands-on experience in identifying types of stone, honing and polishing stone floors, fixing chips and cracks, and polishing vertical and horizontal pieces of stone. “There’s nothing like doing it hands-on and learning from an expert,” Randy said. Stone repair specialists are in demand in Green Bay and the Fox Cities, and NEW Solid Surface Cleaning now has the knowledge and experience to meet that demand. “As floor care specialists we are dealing with all types of floors, and we’re getting asked more and more to look at stone counter-tops, showers, and floors,” Randy said. When a manmade tile is damaged, you replace it. When natural stone is damaged by cracks, chips, or unevenness, it needs to be repaired. The first objective of the course was to learn how to identify different kinds of stone. 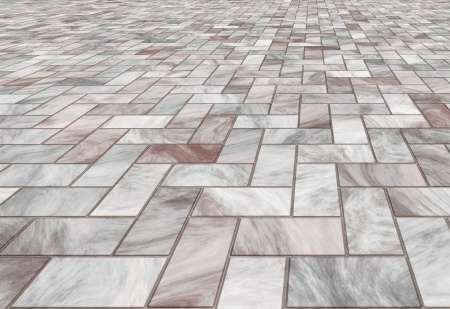 There are hundreds of types of marble, granite, slate, limestone, and other natural stones. Natural stone sometimes needs just a good cleaning and polishing, and NEW Solid Surface Cleaning has been providing these services for years. Now NEW Solid Surface Cleaning has invested in the equipment and training to be a full-service restoration and refinishing provider. Call Randy at 920-604-3773 to discuss restoration and refinishing options for your natural stone floors, countertops, and shower stalls. This entry was posted in Natural Stone Restoration on April 18, 2018 by Joan Koehne.